The New York Times described Rachel “Bunny” Lambert Mellon as an amateur collector with a sure eye, great taste, and upper-class refinement. Architectural Digest called her self-assured in the way that often comes with enormous wealth. Labeled a connoisseur, philanthropist, gardener, and horticulturist by flower magazine, Bunny Mellon was crowned the true queen of green, and the high priestess of pruning and pleaching by Vanity Fair. Such is the mystique surrounding Bunny Mellon, an heiress who considered privacy her greatest luxury; an influential American landscape designer who rarely showcased her work; and a collector who could afford anything, but was known for acquiring only the things she loved. 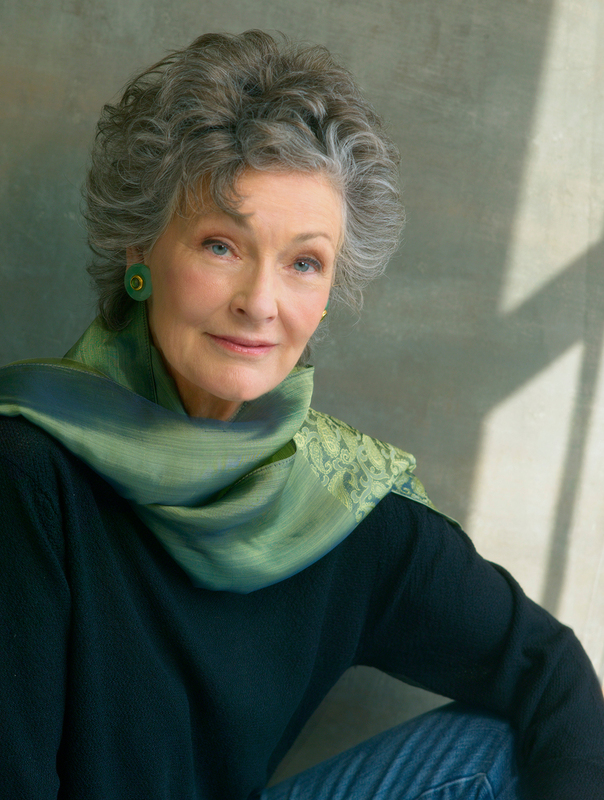 Historian and garden writer Mac Griswold will share her unique perspective on the carefully guarded world of Bunny Mellon during the upcoming Antiques, Garden & Design Show. Griswold forged a bond with Mellon, the mother of her close friend, Eliza, through their mutual love of gardening. Griswold’s lecture, “Green Grandeur: The Rarefied Simplicity of Bunny Mellon’s Garden Style,” will document the contributions the influential tastemaker made to home and garden design. 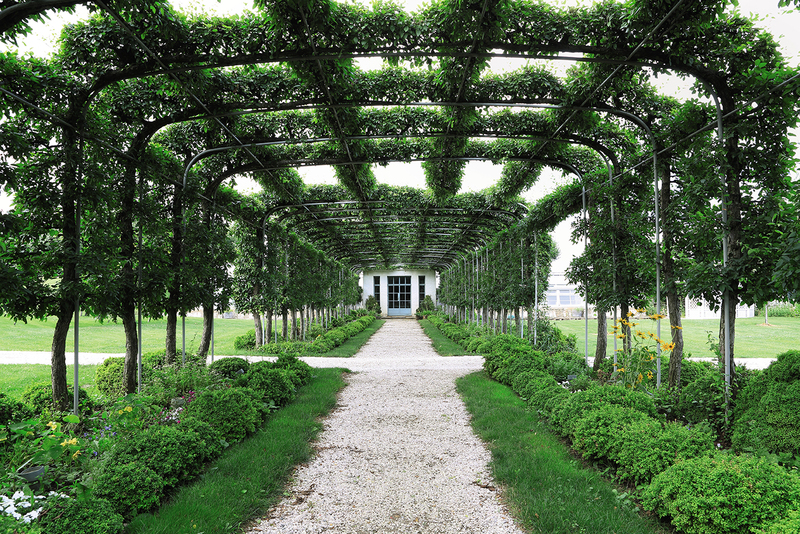 Mellon is perhaps best known for designing the White House Rose Garden during the Kennedy administration, as well as the White House East Garden, and landscape features at the John F. Kennedy Presidential Library in Boston. Renowned architect I.M. 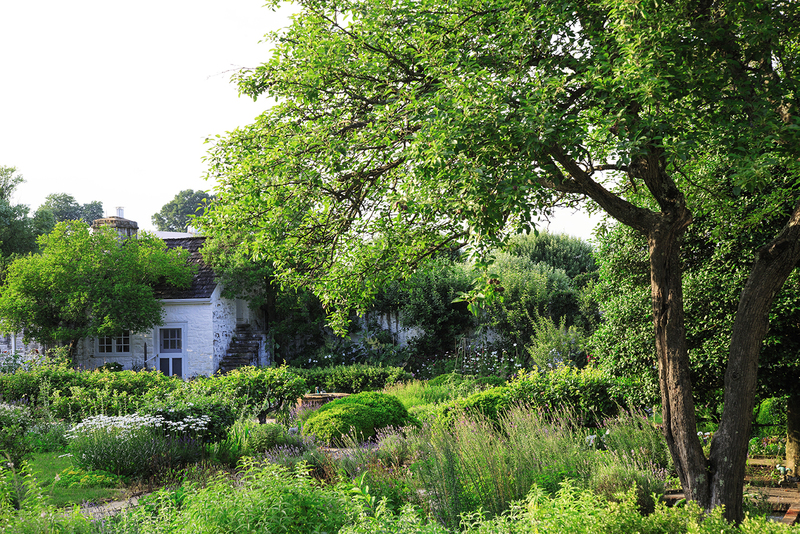 Pei called her the most gifted landscape architect of her time. Join us for Mac Griswold’s lecture on Saturday, April 18, at 11 a.m. Click here for tickets. Griswold was fortunate to see the simple and harmonious execution of this vision during visits to the houses and gardens Mellon maintained in New York, Cape Cod, Antigua, and the 4,000-acre Oak Spring Farm in Virginia. The estate is home to Mellon’s life work, the Oak Spring Garden Library, which contains one of the world’s largest private collections of works on horticulture, botany, natural history, and travel. The 12,000-volume facility will now serve as headquarters for a library and learning center supported by the Gerard B. Lambert Foundation, named by Mellon after her father, a pharmaceutical baron. Mellon developed her love of gardening early. She started her first garden plot at the age of 7 and acquired her first gardening book at age 12. In 1948 she married Paul Mellon, the son of financier Andrew Mellon, and the two lived a life of art collecting, philanthropy, horse breeding and racing, and entertaining. According to press reports, dinner guests included such luminaries as Queen Elizabeth and Truman Capote. Griswold’s window into Mellon’s world looks out onto her gardens, which she designed according to three overarching rules: always use a horizon line, always make sure there is a formal feature, and always make sure there is a place to sit down. Learn more about a fascinating, accomplished, and understated figure in American gardening and society, at Griswold’s April 18 lecture during the Antiques, Garden & Design Show, April 17–19, 2015.